Season 1: Episode 3 - "Back Halls"
Our third live show episode is up for you on YouTube! Slipping through a side door off the cloak room, our party works their way down the south eastern back halls. A gang of rough and tumble young Hill Giants meet a grizzly death and a trio of slumbering guards are easily eviscerated in their beds. 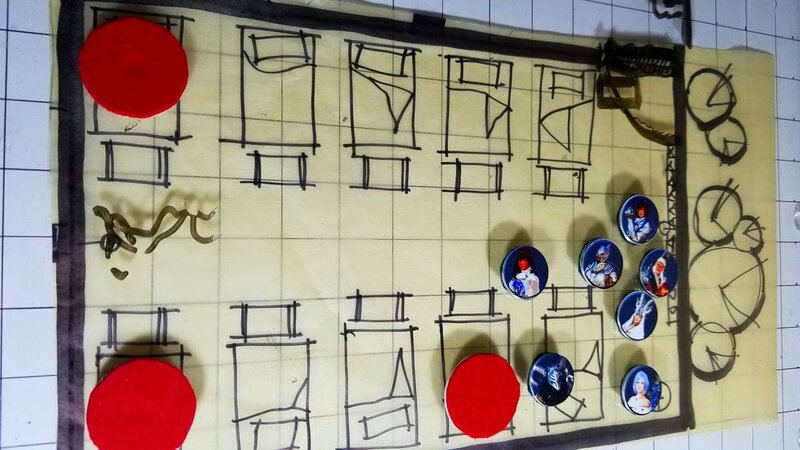 Elafonissi the Monk makes multiple bad rolls again, but maintains her composure. Vaeringjar the Assassin and Mercede the Fighter continue to take point on major battles, enjoying the spray of blood from their weapons. The group maintains stealth and prepares to move on towards the sounds of revelry down the halls.